Matt is the talented Austin wedding videographer at Film Strong with a passion for capturing the special moments in people’s lives. Matt not only loves weddings, but telling the story of a couple on film in a beautiful and creative piece that they will be able to watch again and again. Since his start in the industry and weddings in particular in 2010, Matt’s popularity as a filmmaker has only grown. It only takes watching one of Matt’s films to convince you of the talent this young professional has. The artists at One Track Films began as photographers until they found that their style of shooting and their talents could better be used in videography. From the initial consultation to the filming on the big day and the final editing process, this company makes sure that the couple is comfortable with their services and in front of the camera. They offer a list of packages so potential clients can have an idea of what they can do and their rates, with custom options as well. Lauren and Clint are not only a married couple completely in love with one another but are also the professional videography team at Candle Light Films. This pair not only understands the love you and your partner share, but are excited to tell that story through film. The first step in the process of hiring this team is to meet with them and discuss what you would like and what they can do for you. Then they are set to work making you wedding film dreams come true. Randy Diddly Studios is completely focused on their clients and producing the best film possible for them to cherish. Their packages vary mostly in the length of the final edited film they produce. This process is where the film artists put in the most time and detailed effort, which is why it is the controlling factor when it comes to prices. You can choose from their packages, which can include having a mini movie, the raw footage, a full wedding film or any other variation you can think of. Altared Productions simply explains their work as telling love stories. 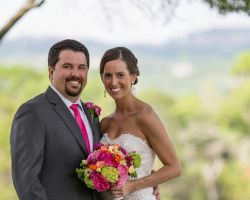 As one of the top wedding videographers in Austin, TX, this company does this by creating what is essentially a highlight reel that is expertly edited together to be artistic, beautiful and true to the style of the couple. In addition these highlights, the company can also create a full feature film that shows your event in its entirety from the ceremony to the grand entrance at the reception to the dancing. Endless Day Films is not simply one videographer using multiple cameras to capture your special event but a creative team who use their strengths to work together to best service their clients. This team, which is located in the heart of Texas, not only films the weddings in a documentary style but also produces beautiful films that are personalized to the couple so no two films they edit together are alike. From beginning to end, you will feel completely taken care of by these professionals. Hyde Park Photography is owned and operated by a husband and wife team who work effortlessly together to capture weddings and edit the footage together to create a beautiful film for the couple to cherish and remember all of the details of their big day. This company is famous for accommodating their clients in every way possible. Whether you would like them to shoot a specific moment or come to your destination wedding, they are there for you throughout the wedding process. 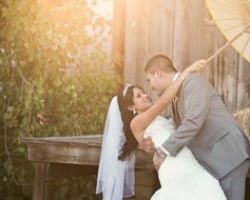 Gray Mask is a company that specializes in capturing weddings using both photography and videography. 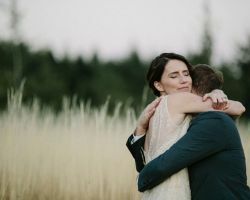 When it comes to their work as wedding videographers, these professionals take the style of the couple and the atmosphere of the day to create an original and beautiful film that is personalized. With video coverage starting at $3,500, this is not the most affordable company, but it is one of the best and most talented. Don’t settle for anything less than the highest quality when hiring someone to film your big day, and hire Gray Mask. A great way to determine the talent of a videography company is to see their work, to browse through what they offer and to read the reviews of their work. All of this information combined should point you in the direction of Bludiamond Productions if you are planning to have your big day anywhere in Texas. Every couple that has used this company has been over the moon with the personal care they received and with the final video, in which you can see the passion these videographers have for their work.